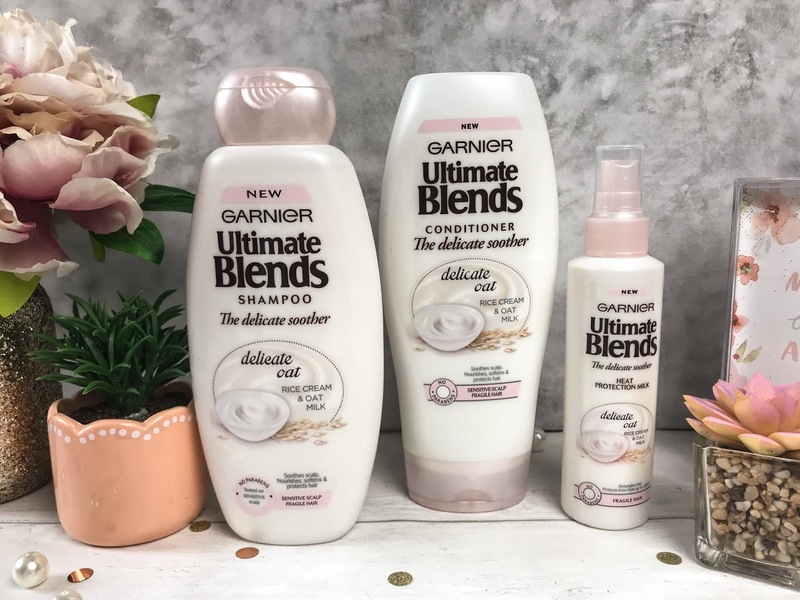 With the warmer days upon us, and it being the time to jet off on holidays, the Garnier Ultimate Blends Delicate Oat products are perfect as they have been created for sensitive scalps and fragile hair. Plus they smell super dreamy! The collection is enriched with protein-rich ingredients such as oat and rice. Oat milk is rich in antioxidants and rice cream, which provides the hair with moisture. The formula soothes the feel of sensitive scalps and leaves the hair feeling protected and super soft to the touch. Oat is a protein rich and low-fat cereal and the oat milk helps to soothe and nourish the hair without weighing it down or leaving it feeling greasy. Rice Cream is produced by grinding small grains of rice and is said to have moisturising and protective properties for the hair, also being rich in protein. There are four products within the collection, a Shampoo, Conditioner, Treatment and Heat Protection Milk and all four products are free of parabens and contain natural extracts. Both the shampoo and conditioner come in regular plastic squeezy bottles containing 360ml each, so you get plenty of product for your pounds. The Shampoo has a light, creamy consistency and builds up to a nice foam, filling the senses with the scent of sweet flowery milk. The Conditioner has a slightly thicker consistency and after use of the duo combined, my hair is left feeling lightweight and gorgeously soft. The Garnier Ultimate Blends Delicate Oat Heat Protection Milk Spray nourishes, softens and protects the hair without weighing it down. 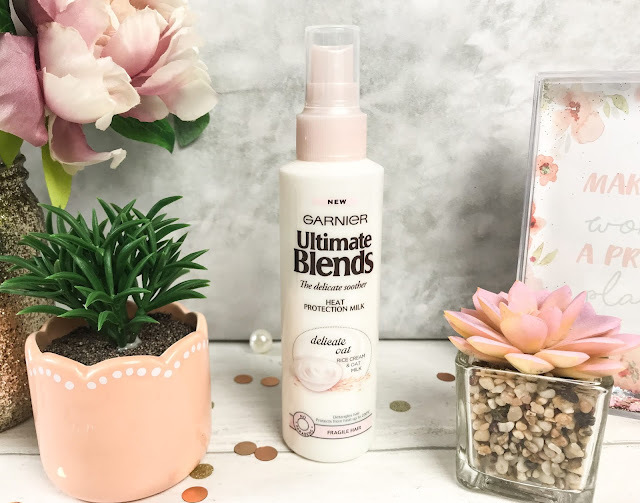 It is incredibly easy to incorporate into your daily haircare routine, simply give it a good shake, and then spritz evenly onto the lengths and ends of damp hair and then style as normal. This also has that delicious, creamy oat scent which keeps the fragrance for longer in your hair. I found that after use my hair wasn’t at all tangled up and as it protects the hair from heat up to 230 degrees, this is the perfect pairing for heated hair tools. 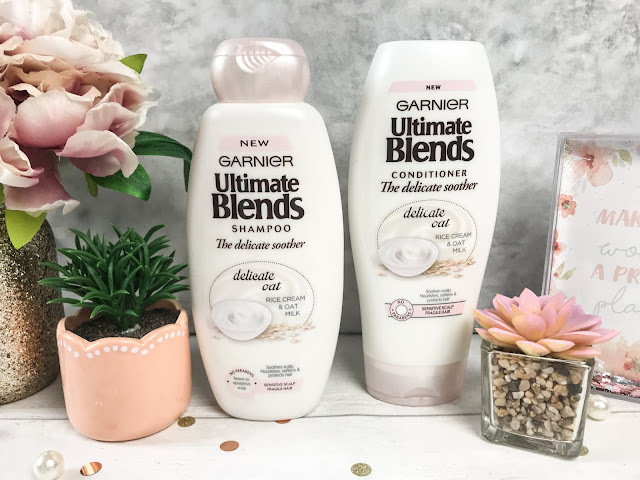 The Garnier Ultimate Blends Delicate Oat Shampoo and Conditioner both retail at £3.99 and the Heat Protection Milk retails at £4.49 at shops including Boots and Superdrug.